We’d love your help. Let us know what’s wrong with this preview of The Jealousy Workbook by Kathy Labriola. To ask other readers questions about The Jealousy Workbook, please sign up. The Jealousy Workbook is a textbook style book, with few typos and a slick interior design with easy-to-read type. It has many pages that could be photocopied by counselors for use by clients during sessions. All exercises can be done by couples and additional partners or only an individual if necessary. This book is mostly designed for those who have already decided on a poly relationship model and just need a little (or a lot of) help implementing the process. This book was organized amazingl The Jealousy Workbook is a textbook style book, with few typos and a slick interior design with easy-to-read type. It has many pages that could be photocopied by counselors for use by clients during sessions. All exercises can be done by couples and additional partners or only an individual if necessary. This book is mostly designed for those who have already decided on a poly relationship model and just need a little (or a lot of) help implementing the process. This book was organized amazingly well, but I do believe that terms should have been defined as soon as they appeared, especially when initially Labriola uses words like "jealousy" and "envy" interchangeably. I felt confident that Labriola was experienced and knowledgeable as a counselor and with her genuinely poly personal life. Many of the exercises could be incredibly useful, especially Chapter 11's section on modifying core beliefs. I do wish that Labriola and her publisher had made a "token monogamist" review the book before printing. The point of view of the author led to a few alienating and ridiculous statements like, "Most people find that the gains in the 'pros' column outweigh the losses in the 'cons' side, convincing them that having an open relationship will make them happier than continuing in a monogamous relationship (p15)." I could let this slide since the book seems to be aimed towards those already in open relationships, but the above statement was in a chapter on grieving the loss of a monogamous relationship, so it seems rather insensitive. Also, chapter 1 is all about determining whether a poly relationship is right for you, which was evaluated through a number of quizzes. Unfortunately, those quizzes were rigged with questions that always result in a positive answer at least SOMETIMES by somebody with a healthy relationship. Example: "Did you want more romance and excitement in your relationship?" "Did you sometimes feel that there was some important component missing from the relationship?" "Do you enjoy the security and stability of a monogamous relationship but also long for more romance and passion?" "Have you generally succeeded in keeping agreements you have made with your partner?" "Have you generally made good choices in picking emotionally healthy partners?" Generally, this chapter comes off as manipulative and disingenuous, so I think it could do with deletion in future editions to narrow the scope to people who have already decided on the lifestyle. One more criticism I have may be a personal ideological difference in opinion. She seems to be a great proponent of Freud, not just in Chapter 5's giant Freud love-in. I found the constant insistence to reach back into childhood for experiences to blame to be troubling. People reading this book do not need help alienating themselves from the only support system and relationships they might feel is stable during this time: family. I think this book has a lot of good things about it..... except for the first chapter. The author should probably stick to working with jealousy and not helping people decide if an open relationship is for them or not. I think a lot of invalid assumptions are made in that chapter about certain things that are necessarily "lost" when someone gets into an open relationship, like being able to feel secure with your partner. I think with healthy individuals who get some experience under their belt, I think this book has a lot of good things about it..... except for the first chapter. The author should probably stick to working with jealousy and not helping people decide if an open relationship is for them or not. I think a lot of invalid assumptions are made in that chapter about certain things that are necessarily "lost" when someone gets into an open relationship, like being able to feel secure with your partner. I think with healthy individuals who get some experience under their belt, then there can be plenty of security even with multiple partners. This is a really great, practical book that gave me some new ways to think about jealousy. I would recommend it to anyone who's struggling with jealousy, or wants to better support a partner who is, whether in an open relationship or not. 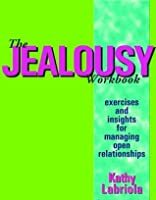 I have several friends who are into poly relationships, and I would definitely recommend this workbook to them if jealousy is an issue - or even before jealousy becomes an issue.